Business 101, lesson 1: write a business plan. Or so we’re told. I’m not eschewing the value of having a solid business plan – as Larry Elder said, “a goal without a plan is just a wish” – but the stark business plan formula has little meaning for me. Too dry. Frankly, I could have ploughed precious hours into writing a top-notch plan only for it to sit in a folder somewhere unlikely to see light of day again. A plan that would be a guiding principle would need to inspire me, motivate me and be a reminder of why I started my business in the first place. Instead, I created my own formula for a business plan with heart. Start with the end in mind: What is your vision for your company? What need does it cater for in the world? What is its reason for being? So, for example, my abridged version is: I’m passionate about helping ambitious mums to nurture their own dreams as well as their family – I help them to get reacquainted with their inner sparkle and coach them to design an authentic way of sharing it with the world. I went to town on writing my vision so that I have a really clear picture of where I’m heading. The nitty gritty: In traditional business plan style, break your plan down into smaller chunks. I distilled my big vision down into smaller milestones so I have objectives for Years Three, Two and One. This is where I got specific: I set myself targets for sales revenue, customer numbers, my newsletter list, publicity and so on. The heart: Once the business boxes are ticked, begin to add a personal touch. This is the part that brings the vision to life: Ask yourself why do I want this? What do I want to create in my life through my business? For me, in allowing myself some honest reflection time, I got to the truth of the core reasons – values – that sit at the heart of my business vision. To feel authentic, to nurture others, to create freedom in my life, to have pride in my work and my success, to inspire others to live out their potential. This is where the rubber really hits the road – a business plan can have all manner of revenue projections and strategic objectives BUT these values are what will get you out of bed in the morning. The customer: Know your niche. To get really clear on who your customer is filter all the ideas and research you have on your customer market into a single customer profile. For me, I work with ambitious mums and so I gave my ambitious mum a name, a family, a background, aspirations, hopes and fears. I got clear on what’s holding her back… and specifically how I can help. I brought my customer to life and she guides my efforts. The brand: Putting all modesty aside, aim to list all the things that are memorable or specific to you. Why would someone want to work with you? Jot down everything from colours and textures associated with you and your business, to compliments you’ve been given and things that people come to you for help with. 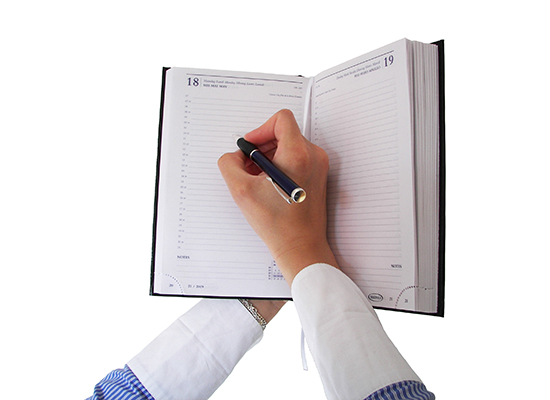 Write down your experience – personal and professional – and your unique character traits. Then start to look for themes that are woven through each of these areas and get clear on the top three attributes you can begin to build your brand around. From the look and feel of your online home, to the words you use in your social media profiles, and the way in which you communicate with your customers, it all stems from having a clear and cohesive understanding of what your brand stands for – in a way which is truly authentic to you and your business vision. I’m not naïve. Of course I have financial plans and objectives I want to achieve, it’s not all touchy feely, BUT as an entrepreneur with the freedom to write my own rules, it was important for me to write a business plan my way – from the heart. Emma Gwillim is a Clarity & Confidence Coach for working mums. She empowers women who feel like they’ve lost their identity, their direction and their motivation to get reacquainted with their inner sparkle so they can nurture their own dreams, as well as their family, and create an impact in their world. Click here to get Emma’s free guide – Too Busy To Be YOU? The 4-step guide for busy women to live their potential in work and play.